A magnificent pinecone is captured on the base of the Pine Creek Pinecone Accent Lamp. A natural brown finish and off white fabric shade are the finishing touches to this lodge style lamp. 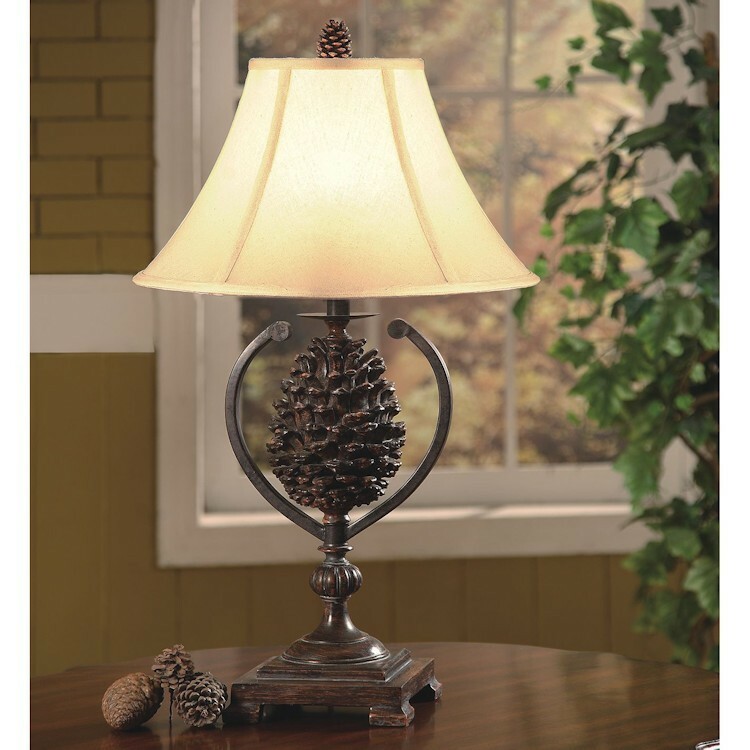 A magnificent pinecone is captured on the base of the Pine Creek Pinecone Accent Lamp. A natural brown finish and natural linen shade are the finishing touches to this lodge style lamp.